Centrica is an energy and services company with over 35,000 employees. Its principal activity is the supply of electricity and gas to 8 million businesses and consumers in the United Kingdom, Ireland and North America. With the unprecedented pace of change in the energy utility sector, the need to focus on operational efficiencies and continual business improvements has increased dramatically. At Centrica – one of the largest multinational energy suppliers – the innovation team are challenged with finding new ways to improve processes and customer satisfaction to reduce costs and increase revenue. Centrica sought help from Sideways 6 to adopt a solution-based approach to their employee ideas programme. 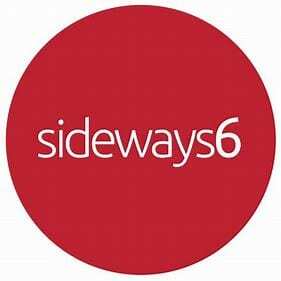 With an active Yammer network already in use, Sideways 6 were able to offer the innovation team an accessible, intuitive and social solution for their employee idea programme complete with tools for capturing, managing, filtering, reviewing and analysing ideas and communicating back to idea submitters. To kick off the campaign, a Yammer group called ‘Make A Good Idea Count’ (MAGIC) was set up where employees were encouraged to post and discuss any ideas they have. Given Yammer’s open and social nature, the team were able to capture more ideas and better quality ideas from employees through this approach. Three call centre employees shared an identical idea independently of each other in the Yammer group. Centrica had texted customers to advise them when the company had tried to phone them, but didn’t give the customer the option of texting back. Why not give the customer this option? The innovation team took forward the idea and trialled it in the call centre offices in Cardiff and Mumbai. This simple change produced an estimated business value of £5 million in cost savings through higher productivity and increased customer satisfaction. The idea was one of hundreds that have been successfully implemented through the MAGIC campaign, demonstrating just what’s possible when employees are given a voice. Prior to the introduction of Sideways 6, our business had not taken advantage of Yammer’s functionality and infrastructure to successfully crowdsource ideas."